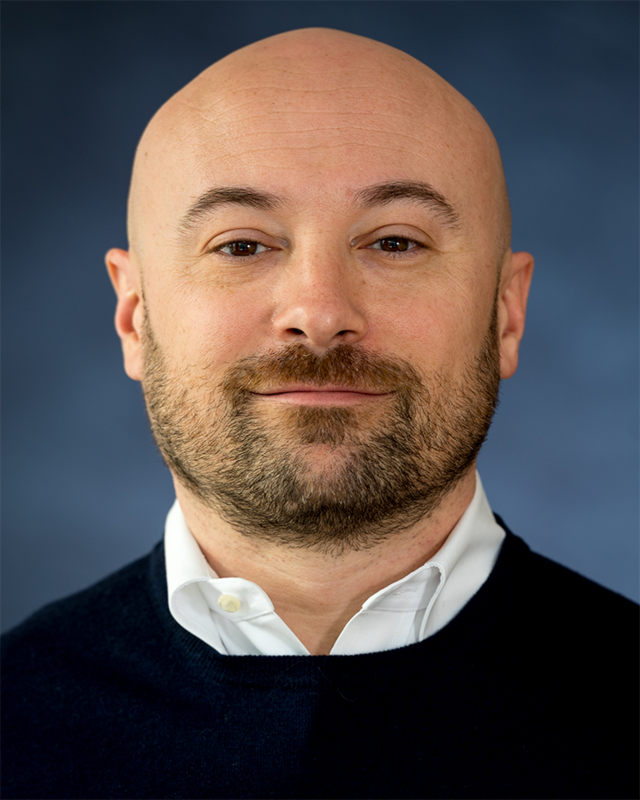 Marco Pravetoni is an associate professor of Pharmacology at the University of Minnesota Medical School. His research interest focuses on novel and more effective treatments for substance use disorders. Dr. Pravetoni has developed vaccines for the treatment of heroin and prescription opioid abuse and overdose. His group is also implementing a variety of strategies to generate more effective vaccines or antibody-based therapies against drugs of abuse and other unmet medical needs such as antibiotic-resistant bacteria. Dr. Pravetoni's research interests focus on the pre-clinical development of novel therapies for drug addiction using strategies that can be extended to other chronic non-communicable diseases. Research in Pravetoni's laboratory involves a multidisciplinary approach using tools from medicinal chemistry, pharmacokinetics, immunology, pharmacology and behavioral analysis to uncover the mechanisms underlying treatment’s efficacy in animal models of prescription opioid abuse and nociception. immunotherapy and pharmacotherapy against prescription opioids abuse and evaluation of mechanisms underlying treatment’s efficacy on animal models of addiction and nociception. The Pravetoni lab focuses on the development of vaccines for treatment of substance abuse disorders, such as abuse of heroin, prescription opioids, and stimulants. Research projects include: vaccine development in pre-clinical models of drug addiction, characterization of candidate vaccine formulations for clinical evaluation, dissecting T cell-dependent B cell mechanisms underlying generation of effective anti-drug antibodies to guide rational design of next-generation vaccines, and strategies to enhance vaccine efficacy by programming vaccine-specific B and CD4+ T cell differentiation toward germinal center formation by means of adjuvants, immunomodulators, and delivery platforms. Future efforts will apply these approaches to other vaccines against emerging pathogens, biodefense targets, or chemical warfare. Laudenbach M, Tucker AM, Runyon SP, Carroll FI, and Pravetoni M. 2015. The frequency of early-activated hapten-specific B cell subsets correlates with efficacy of vaccines for nicotine dependence. Vaccine. Nov 17;33(46):6332-9. Laudenbach M, Baruffaldi F, Vervacke J, Distefano M, Titcombe P, Mueller DL, Tubo NJ, Griffith TS and Pravetoni M. 2015. Frequency of the naïve and activated hapten-specific B cell populations dictates conjugate vaccine efficacy against oxycodone. J. Immunol. Jun 15;194(12):5926-36. Kotecki L, Hearing M, McCall N, Fernandez de Velasco EM, Pravetoni M, Arora D, Victoria N, Munoz M, Xia Z, Slesinger P, Weaver CD, and Wickman K. 2015. GIRK channels modulate opioid-induced motor activity in a cell type- and subunit-dependent manner". J Neurosci. May 6;35(18):7131-42. M Pravetoni, PR Pentel, DN Potter, EH Chartoff, L Tally, and MG Lesage .2014. Effects of an oxycodone conjugate vaccine on oxycodone self-administration and oxycodone-induced brain gene expression in rats. PLoS One. Jul 15;9(7):e101807. Pravetoni M, Vervacke J, Distefano M, Tucker AM, Laundenbach M and Pentel PR. 2014. Effect of clinically-approved carriers and adjuvants on the pre-clinical efficacy of a vaccine against oxycodone in mice and rats. PLoS One. 2014 May 5;9(5):e96547. Taylor JJ, Laudenbach M, Tucker AM, Jenkins MK and Pravetoni M. 2014. Naïve B cells are biomarkers of vaccine efficacy against drugs of abuse. J. Immunological Methods, Mar; 405:74-86.